At All Things Web®, we thrive on being geeks. We love sticking our noses into your HTML, getting our brains lost in spreadsheets upon spreadsheets of data, and, of course, having a mini party in our head as we watch our clients climb higher on Google month after month. However, a key part of our service that we pride ourselves on is that we don’t confuse our clients into oblivion by using complicated jargon and complex concepts. We want our clients to understand exactly what we are doing for them and the steps we are taking to achieve your goals together. Asking an SEO to explain link building is a good way to waste a few hours or even days. The theory behind link building and the million ways you can go about it is way too much to get into a short paragraph on a blog post. The main point to remember is that Google likes it. As long as you insert good, valuable, and relevant links into your website, and when other websites link back to you. This shows your website as valuable, informative and has the user experience at the forefront of your mind. A good example to use would be a link from Trip Advisor. If you receive a link from a website as reputable as Trip Advisor then Google can see you are a legitimate and respectable business in the travel or leisure industry. You will need more than this one link though. Link building is a bit like an orchestra. Thousands of violins is not an orchestra but a quality mix of selected strings and brass is ideal. Having 20 fully experienced musical professionals is always going to sound much better than 1000 people who can barely keep a beat together. Much like having 20 strong links to and from reputable websites is a lot better than having 1000 links that are rather spammy. When you Google something, the heading that comes up in blue in the search results, is called the title tag and the snippet of text is called the meta description. The other reason is that you can use specific wording to entice users to click on your result. For example, we have used the words “SEO Specialists” to show that we are a skilled team, included our locations to show people where we are in case they wanted a local business and we have a call to action at the end. A title tag needs to be 50 – 60 characters long including spaces. Your targeted keyword or phrase for that page should be at the start of your title tag. Here you have 160 characters to sell your business in the most relevant way possible. Either this should tell people exactly what they can find on your page or, if it’s going to the homepage (like our example), it should say exactly what your business is. If this isn’t relevant to what you’ll find after clicking on the website, users will bounce right back off the website and a high bounce rate is not good for SEO. Take a look at our SEO Jargon buster to familiarise yourself with some of our unique geeky language! To put it simply, blogging is one fundamental way you can improve your SEO but it does take time. Adding a minimum of 2 blogs per month to your website can increase search traffic, humanise your brand, and build authority within your industry. With the right plan put in place with strategically placed keywords, your blog can help you rank on Google for long tail phrases. For a basic blogging guideline, you need it to be around 800 – 1200 words long with short paragraphs, strong headings, good imagery and powerful call to actions. Tip: don’t forget your links! This is the perfect place to give and receive regular links. A relevant and well wrote blog will also encourage other people to want to link to your website. Find out how to write awesome content for Google and Humans. It’s important to remember that it’s not just blogging content that helps SEO, but the ways you present it and where you place it. Updating website pages are just as important, keeping them relevant, up-to-date, and targeted for your audience. To further improve content don’t just think about creating written content like blog posts and website pages. Incorporate videos, gifs, infographics and any other shareable types if content into your content marketing strategy. This variety of content makes your website more engaging and user-friendly, therefore attracting more visitors when shared on other channels, and keeping visitors on your site longer because they aren’t bored from reading reams of words. Do you need a hand with your SEO? 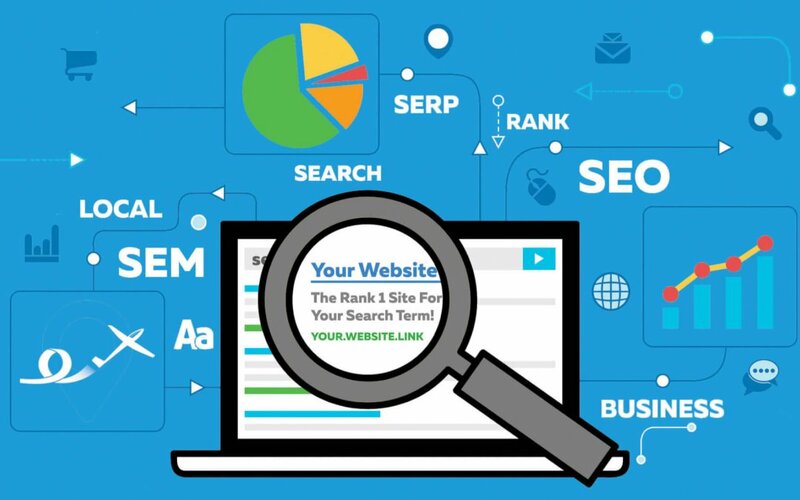 Although our specialist team breathe all things SEO, we understand that as business owners you may not have the time or skills to create a full Search Engine Optimisation plan. Let alone implement it, as well as keeping up to date with latest news, releases and programs. Let the experts take care of things for you so you can have the peace of mind that your website always has a careful eye cast over it. If taking your SEO work in-house sounds like the best thing for your business, but you’re not too sure where to start, we run bespoke 1-2-1 training sessions. You will have an expert member of our team for a whole day who will work with your current knowledge and plans for the business & develop upon that. The training will run either from in a distraction-free training room, or your office. For more information about either outsourcing your digital marketing or our tailored training sessions, give us a call on 01793 766040.